Chris and Kim met in 1995 when Chris was a marine at the Naval Academy in Annapolis. They got married in 1999. They had always dreamed that their son would go to the Naval Academy to become an officer one day, but now they knew that wouldn’t happen. Kim had worked with children with disabilities in the past, but never dreamed she’d have one of her own. “There is a grief that you undergo when all the hopes and dreams for your child have just been dramatically changed,” she explains. They began learning all they could about down syndrome. Doctors told them to expect physical and cognitive delays. They also learned that children with down syndrome can have a wide variety of health issues. Jacob’s started at only 8 months. Kim noticed the left side of Jacob’s chest was raised more than the right. She took him to a cardiac specialist who confirmed Jacob had a murmur, but didn’t feel surgery was necessary. Kim wasn’t satisfied with that answer, and thus began a recurring theme of following her intuition. She got a second opinion. The second cardiac specialist felt that Jacob needed immediate heart surgery. At only 8 months old, Jacob underwent the first of many surgeries. As first-time parents, Chris and Kim didn’t really know what was “normal.” One year after Jacob was born, they had their second child, a baby girl named Ivy. It wasn’t long before Ivy was reaching typical milestones of rolling, sitting, and crawling. Jacob was far behind, still lying on his back and unable to sit unless propped up. Jacob’s first several years were rough. He underwent numerous surgeries, including having his tonsils and adenoids removed. He was constantly getting sinus infections. At age 3, he was diagnosed with severe reflux and eventually couldn’t keep solid foods down. He had to have stomach surgery. 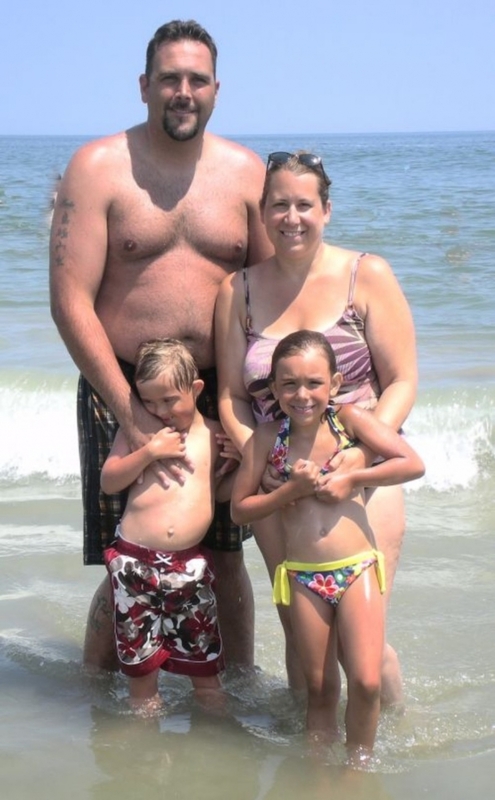 The recovery was intense and challenging for the Buda family. Jacob and Kim stayed at the Ronald McDonald House in Baltimore for 2 months while Jacob had to re-learn how to eat. By age 4, Jacob’s delays were becoming increasingly apparent. He had been going to physical therapy for years but still couldn’t walk. 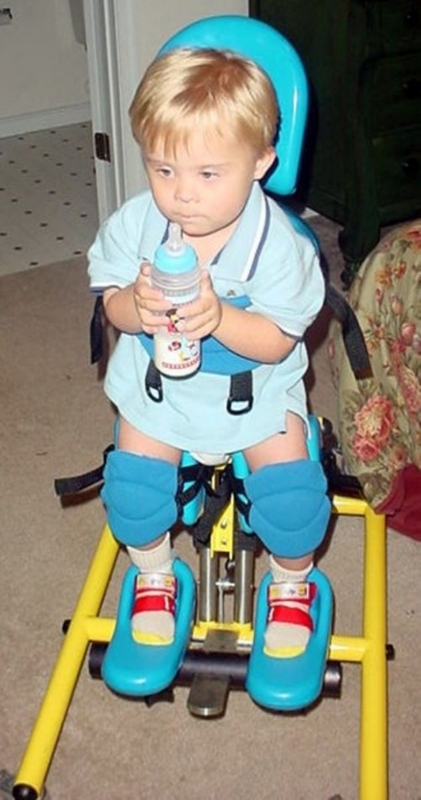 At age 5, he managed to start walking, albeit slow and unsteadily. As the years went by, Jacob’s health challenges continued. He was constantly battling sinuses and viruses. He had numerous MRIs, scans, blood tests, and surgeries. 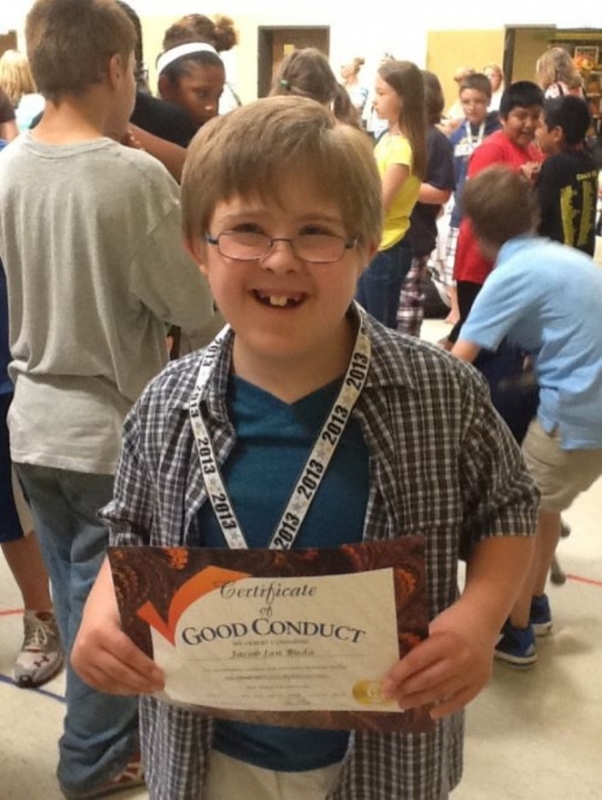 There was one developmental challenge that Jacob never seemed to be able to overcome. He still wasn’t potty trained. The Buda family visited with a Downs Specialist on numerous occasions to find out why. 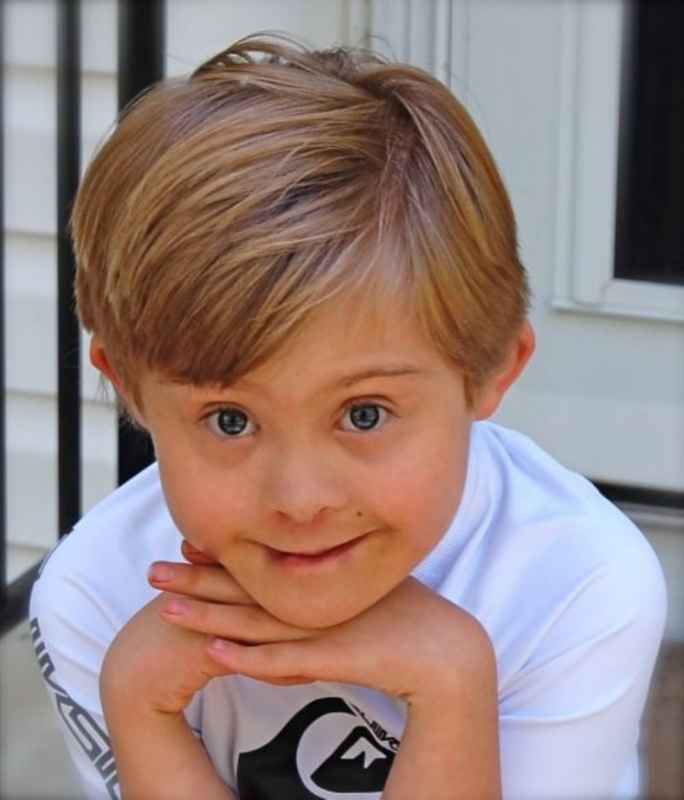 Over the years, Jacob spent a lot of time in hospitals with different doctors and specialists. Kim was convinced that the reason Jacob wasn’t potty trained was because there was something physically wrong with him. She brought this up with every medical professional she encountered, but they all assured her that the delay was due to his down syndrome. Kim wasn’t buying it. At age 10, Jacob had to see a Urologist. Kim exhausted the ongoing question for the last time. She asked if there was anything that could be keeping Jacob from being potty trained. The Urologist mentioned that there is an extremely rare condition called Tethered Cord Syndrome (TCS), but felt it was highly unlikely. After doing her own research, Kim discovered Jacob had most of the symptoms of TCS except for one key identifier. With TCS, there is usually a patch of hair located at the top of the rear, which Jacob does not have. With most people, the spinal cord normally hangs loose in the canal, but with a tethered cord, it is held tight at the end and literally "tethered." When Kim asked her doctor about TCS, he literally laughed at her for overreacting and getting her information from the internet. Kim still had her doubts, but the only way to know for sure would require another MRI. Jacob had already suffered so much and the family didn’t want to needlessly make him suffer more. 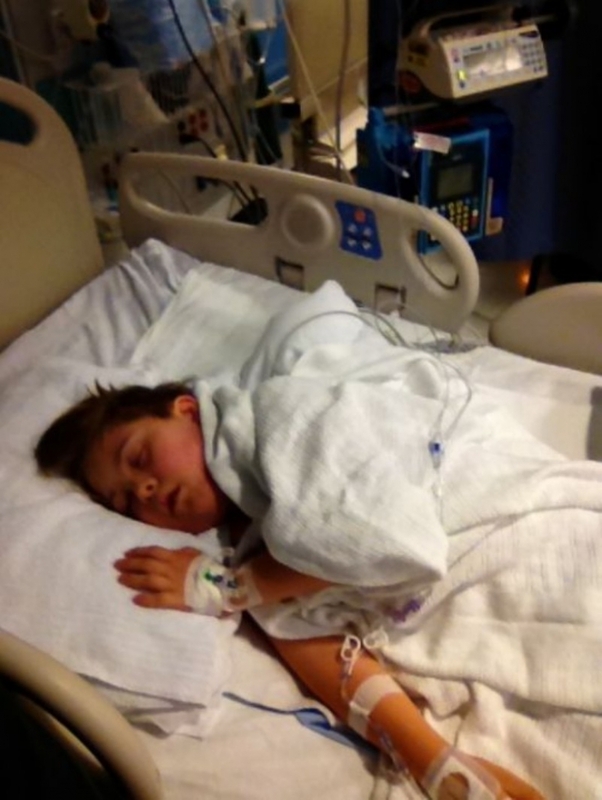 Ultimately, the family needed to know if this is what was wrong with Jacob and decided to move forward with the MRI. It was mixed emotions when the results came in. Jacob did, in fact, have Tethered Cord Syndrome. The Buda family had waited over 10 years for medical confirmation of something they felt in their guts. After 10 years of changing diapers, they finally had an answer. The next step was spinal cord surgery. It was hard, because Jacob was older now and understood things better. This would be his toughest surgery yet, but it was his only shot at curing his incontinence. On a technical level, the surgery was successful. But the follow-up appointments and years that followed would reveal that the surgery was too late. The majority of doctors agree that if the TCS had been identified earlier and if he had had the surgery at a younger age, he would most likely have been able to stand sooner, walk sooner, had no pain, and be potty trained. Instead, Jacob will be incontinent and dependent on his family for the rest of his life. The numerous specialists, appointments, and surgeries have taken a financial toll on the Buda family. Jacob is 13 now and taking care of him gets more challenging each year. 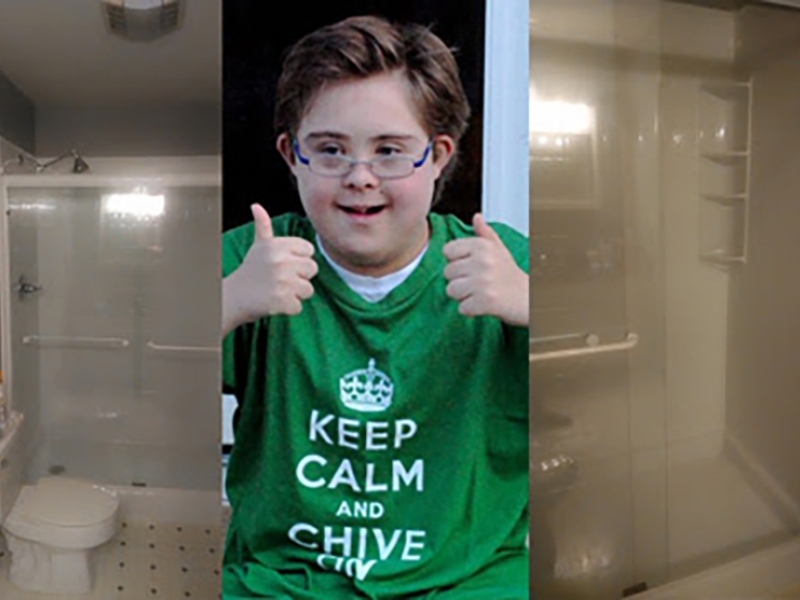 The Buda family could use a little good news, and nobody delivers good news better than the Chivers. 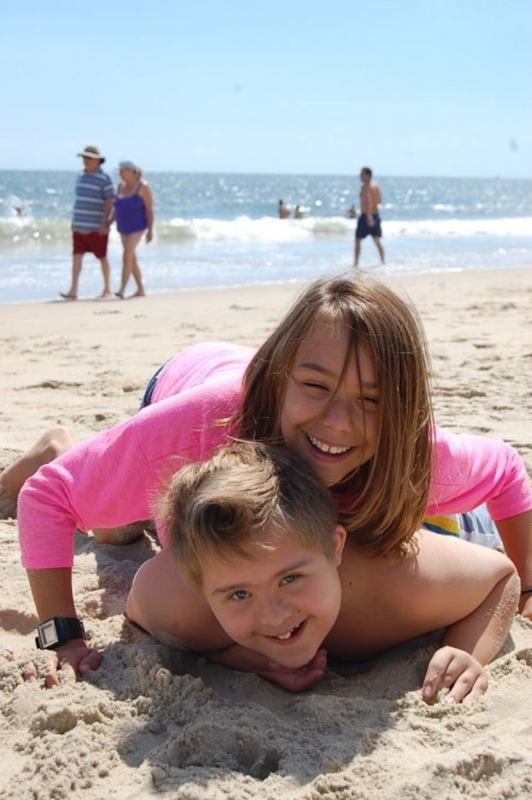 Today, Chive Charities is granting the Buda family with a$15,000 grant from the Chive Fund! This grant is going towards a bathtub remodel which will allow Jacob to stand in the shower, 2 years worth of diapers, a specialized stroller, and a unique bike specifically designed for someone with special needs! 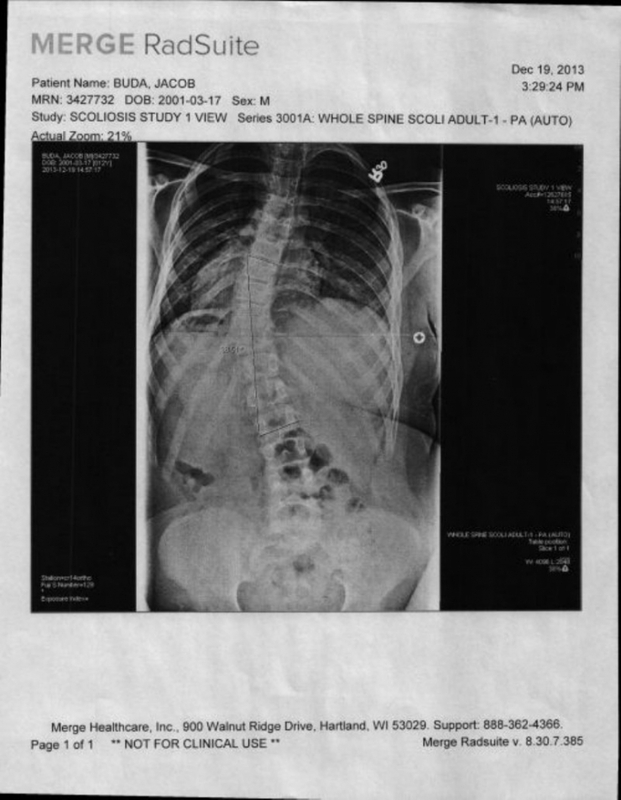 Jacob has also been diagnosed with moderate scoliosis due to the Tethered Cord. He will be wearing a brace for the next 3 to 4 years for 20-23 hours a day. He wears it basically all day, every day. The only time he is supposed to take it off is for showers or any time he is in water. At Chive Charities, one thing we hear about time and time again is the profound effect that children with rare medical conditions end up having on their siblings. These kids get such a different perspective than the rest of us. They tend to grow up to be extremely compassionate and caring. Ivy is no exception. She has been a loving caretaker for Jacob since day 1. Ivy always tries to make sure Jacob is included, even with her own friends. Jacob’s school aid has confessed that she is regularly brought to tears when she sees how affectionate and sensitive Ivy is with her big brother. The two have a special bond and are inseparable. 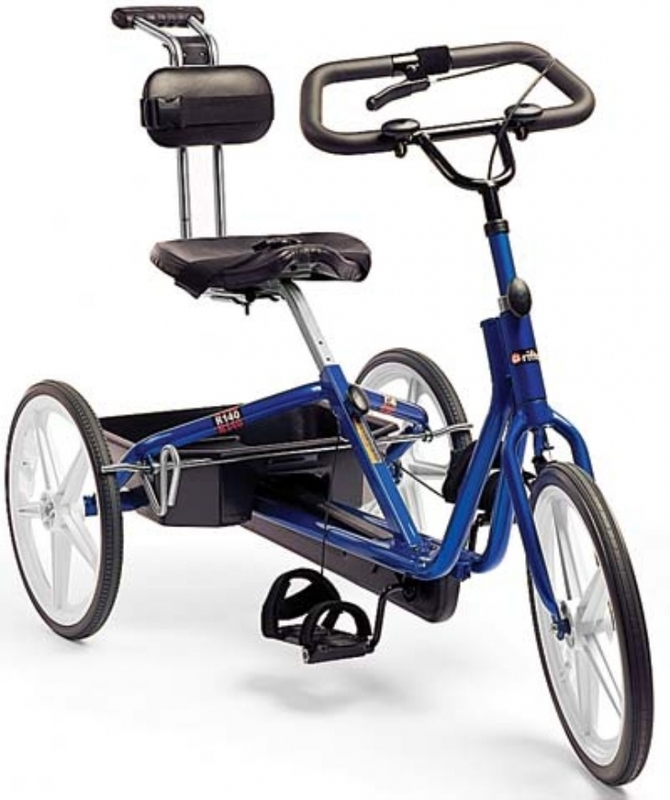 The specialized bike we are getting for Jacob. Jacob has never been able to ride a bike before, so he can't wait to zip around with Ivy! We are conditioned to have absolute faith in doctors. But even doctors can make mistakes. Kim did everything right. She consistently got second opinions and voiced her concerns to her doctors. 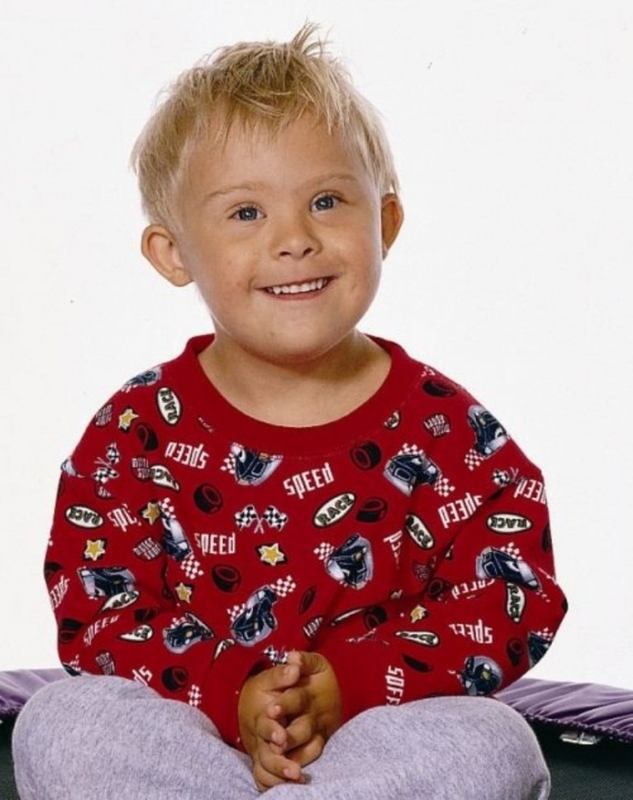 Unfortunately, Jacob’s developmental delays appeared to fall under the umbrella of down syndrome. Jacob’s proper diagnosis came too late. It’s been a long struggle for the Buda family. The Tethered Cord Syndrome diagnosis was a tough blow. Jacob will be dependent on his family for the rest of his life. Due to his incontinence, it is unlikely Jacob will be employable. Kim recently found out she has lupus, so as Jacob gets bigger, taking care of him is going to be increasingly challenging. The items we are getting for Jacob are only possible because of your continued generous donations to the Chive Fund. 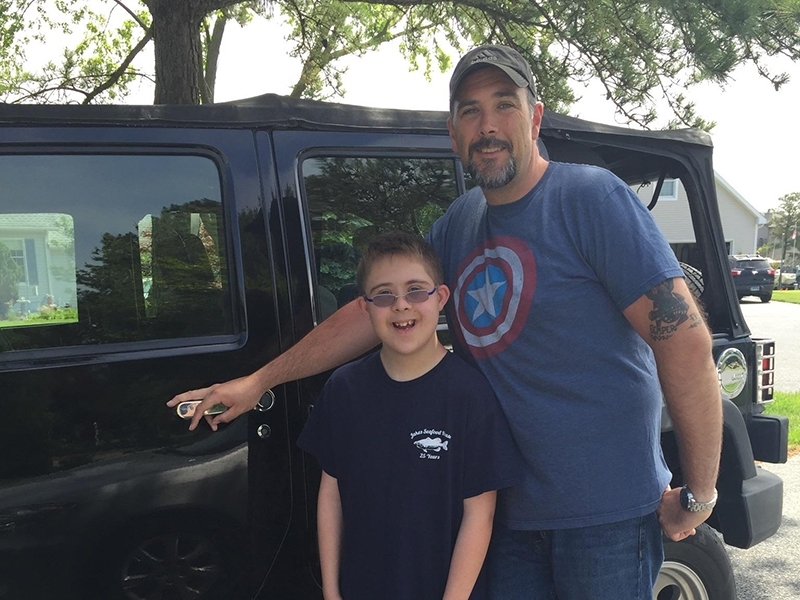 The Chivers are greatly helping out this deserving family and alleviating some of their heavy burden. Jacob is a brave kid. He has been facing relentless health challenges since the day he was born. He is blessed to have a supportive family that has been fighting with him every step of the way. 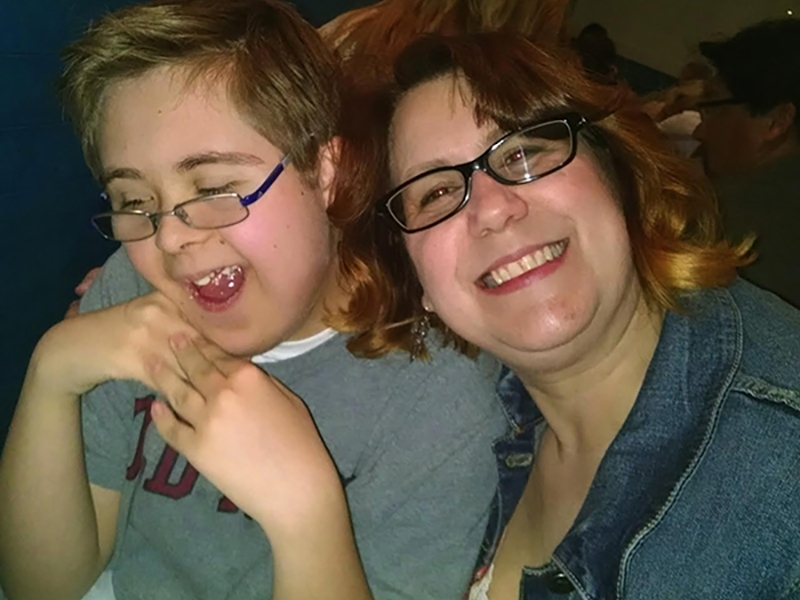 Now that Jacob finally has a proper diagnosis, he and his family can set realistic expectations. It's still going to be challenging, but with the help of the Chivers, it just might be a little bit easier.